As your family gets ready for the new school year, keep your child’s health and the health of our planet top of mind. With a bit of planning, you can make greener and healthier choices! If you’re a teacher looking to “green your classroom”, visit our Sustainable School Services page! Walk or cycle to school instead of driving! 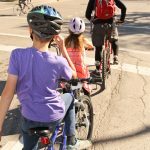 Encouraging a child to walk or wheel to school improves physical activity levels, leads to improved physical and mental health, establishes a better connection to nature, improves focus and learning outcomes, and helps reduce greenhouse gas emissions (which contribute to climate change) and localized air pollution. Learn more about active school travel and how to get started – including setting up a walking school bus – on our Active and Safe Routes to School page. A lot of the “typical” school snacks are highly packaged (especially in plastic), like Lunchables, chips, granola bars, cookies, etc. Avoid these packaged (and often unhealthy) foods by choosing fresh foods (from your local market!) and snacks you can make yourself (like these granola bars or apple chips). Strive to pack lunches, snacks, and drinks (especially water) in reusable lunch bags (no paper/plastic bag lunches please! ), snack packs, bottles, and containers (say no to Ziploc bags and plastic wrap too!). You can also reduce your dependence on single-use plastics by packing your own cutlery and a reusable straw. Everything that’s brought with you/ your child to school should be brought back home. If you pack highly- packaged items (cardboard and recyclable-plastics), be sure to put them in an available recycling bin (whether directly at school or back at home). Encourage your child to also compost their organic scraps at school. If there is no composting program at their school, advise them to hold onto their scraps in one of their reusable containers to save and compost at home. It would then be a good opportunity to talk to their school about setting up a compost program! Back to school shopping is big business in Canada. Aside from Christmas, this is the highest revenue period for the retail industry. According to Stats Canada, Manitoba families spend almost $300/child on supplies each year. Between July and September, Canadians spend almost a billion dollars on school related supplies like stationery and office supplies, and over half a billion on children’s clothes. How families spend their back to school budgets can have a big impact on the environment. Many of the products made for children contain harmful chemicals. Although BPA has been banned from baby bottles, it is still found in countless products including canned food and lined water bottles. Vinyl PVC is used in everything from backpacks and binders to lunchboxes and plastic sandwich wrap. PVC can harm your children and is toxic to the communities where it is produced and ultimately disposed. 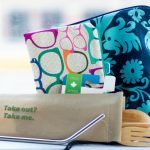 Instead choose non-plastic, sustainably harvested materials including organic cotton, recycled paper, and uncoated metal for things like paperclips or lunch boxes. Thrift shops and used clothing stores offer many good quality articles and supplies, often at a fraction of the cost of new clothing stores. By giving these items a second home, you reduce the amount that goes to landfills and can save money at the same time. Also many items made from synthetic chemicals like vinyl and chlorine will emit dangerous gases called Volatile Organic Compounds (VOCs) and dioxins, respectively, for months after they are produced. By buying second hand, you can substantially reduce your exposure to chemicals. Look for products that are made from recycled content. Where possible choose 100 percent post-consumer recycled paper since it uses over 40% less energy to make and doesn’t add to clear cuts or destroy forests. If you are going to use non-recycled wood products, be sure they are Forest Stewardship Council (FSC) certified to ensure that they were harvested sustainably. Increasingly, companies use environmental claims to promote their products, while covering up their environmental or social impacts. Look out for labels that use confusing, or unwarranted claims, or logos that imply they are environmentally friendly without any certification or information to back up their claims. Ask questions from your retailer if you are uncertain how a product is produced or where it comes from. 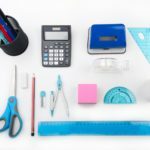 These days the list of school supplies ranges well beyond the traditional pens, pencils, erasers and paper, though these items are still needed in most cases. Many families will be looking for calculators, washable and permanent markers, flash drives, DVD drives, laptops, and more. Consumption for kids is driven even faster by a marketing push that includes characters from their favourite TV shows and movies. 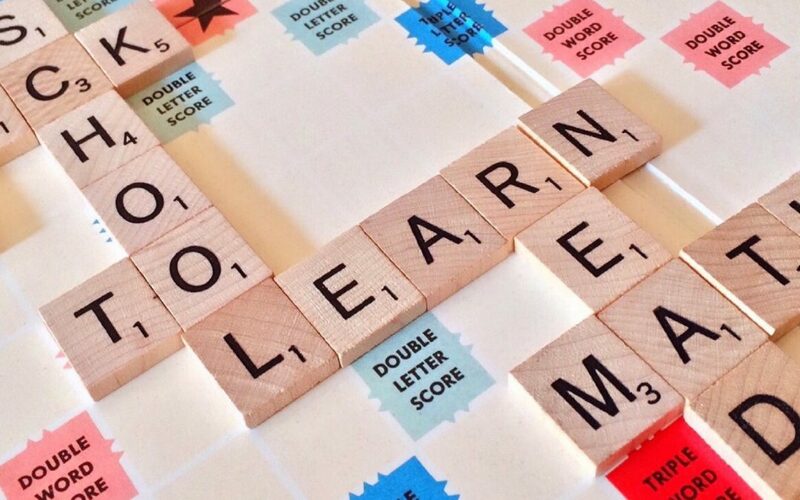 Resisting this pressure can be difficult, but it can also provide an opportunity to teach your kids a valuable lesson: increased stuff is rarely associated with greater happiness. That is a lesson we should all remember.